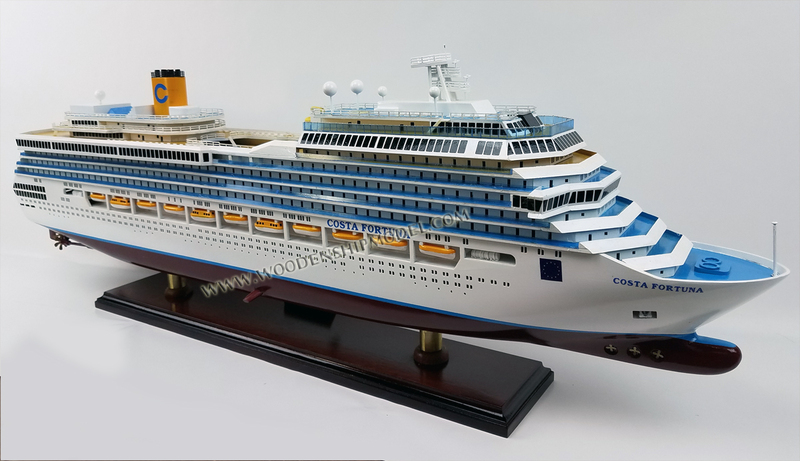 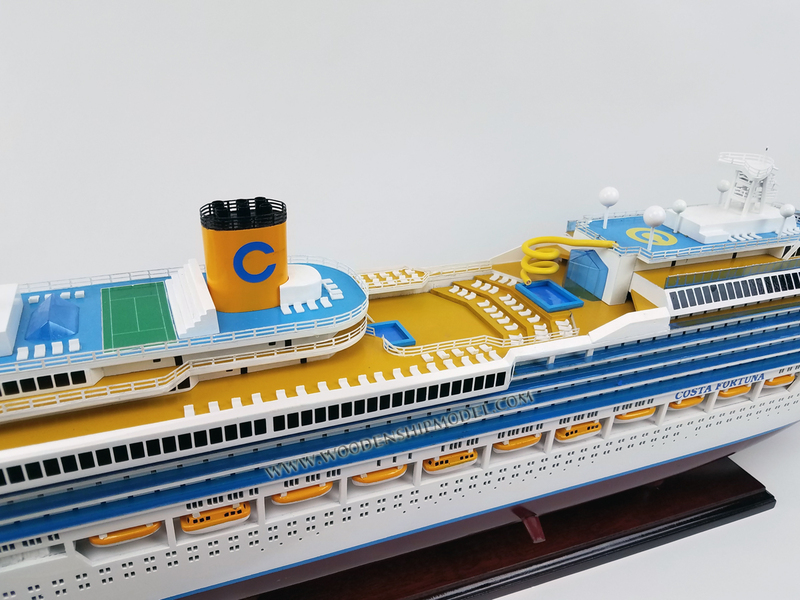 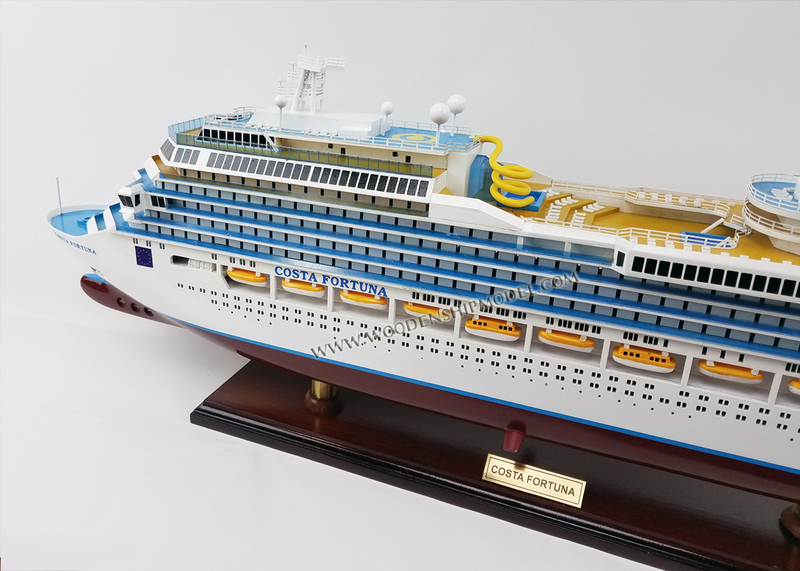 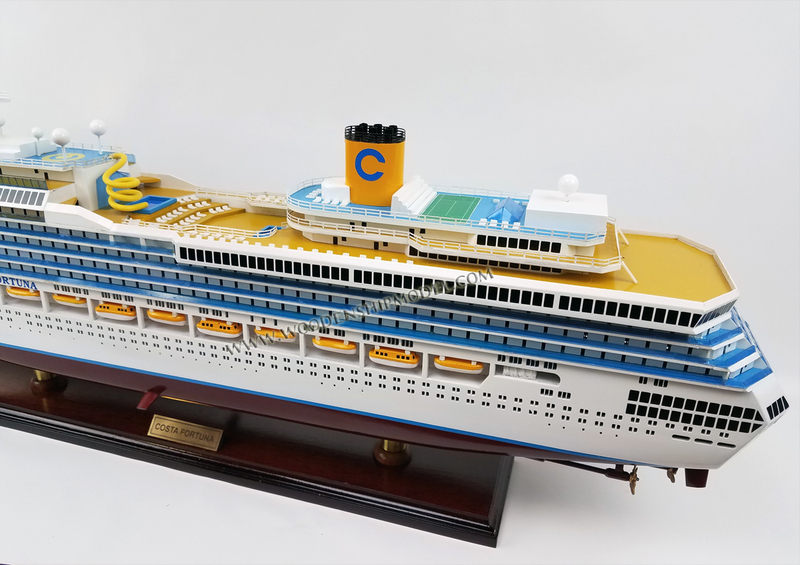 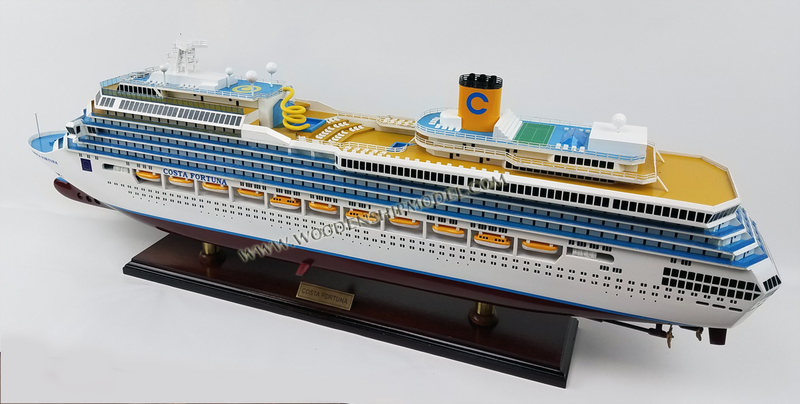 Costa Fortuna is a cruise ship for Costa Crociere built in 2003 on the same platform as Carnival Cruise Lines' Destiny-class. 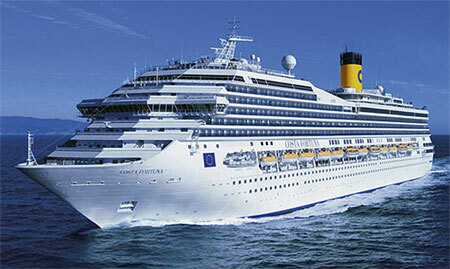 She was inspired by the Italian steamships of the past. 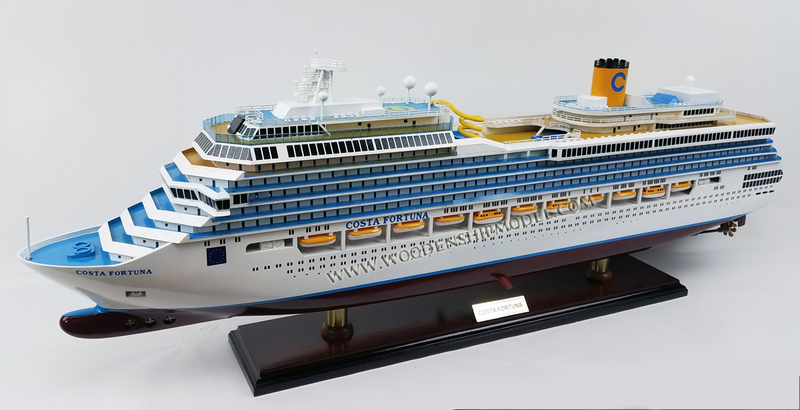 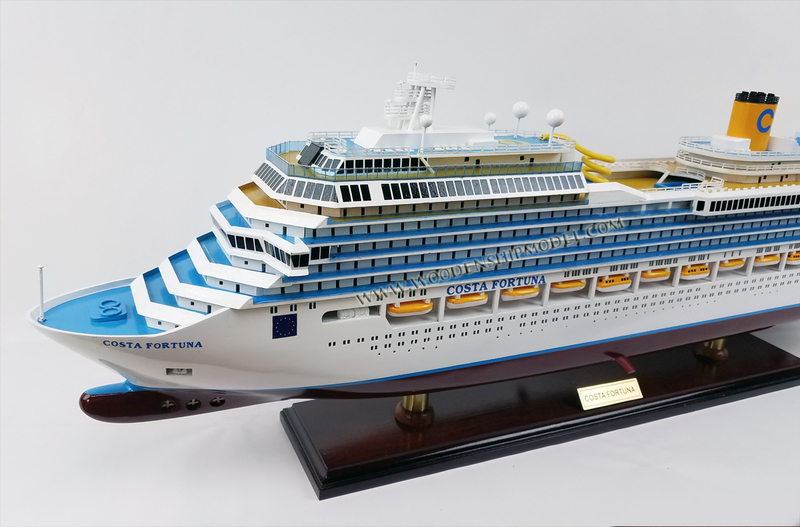 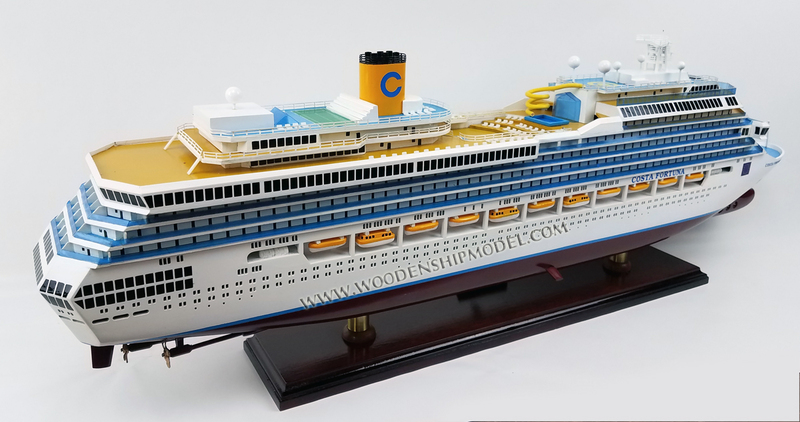 Models of these ships are on display in the ship's public areas. 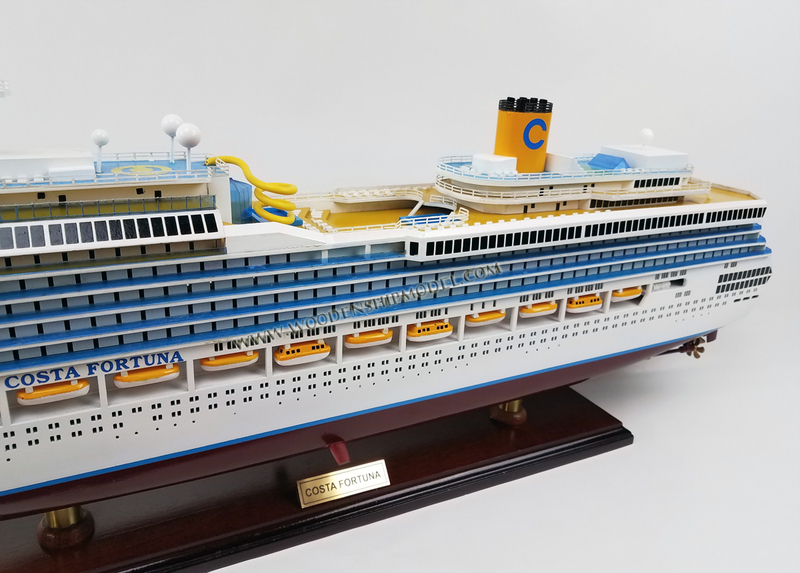 In the atrium, models of the 26 past and present ships of Costa's fleet are displayed upside down, on the ceiling, up to, and including, Fortuna herself.